Copyright © Photo and collection Anastasios Tsinidis - This image is copyrighted. Unauthorized reproduction prohibited. Needle quartz crystal with chlorite inclusions. 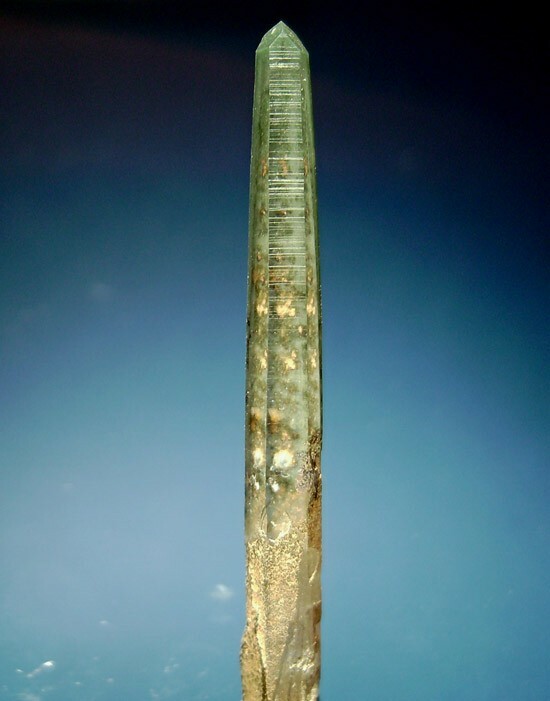 The crystal is 4 cm long.From the skarn zones of Kresti hill,Kato Nevrokopi basin.